NEW YORK (WABC) -- The pressure is on Republicans, in a last-ditch effort to repeal the Affordable Care Act and replace it with the Graham-Cassidy bill. A vote is likely next week in Washington, but Republicans are running into increasing opposition from medical and insurance groups. Even Jimmy Kimmel, for a third night-in-a-row, blasted Republicans and President Donald Trump. Thursday night, Kimmel said, "I guarantee you (Trump) doesn't know anything about the Graham-Cassidy bill. He doesn't know the difference between Medicare and Medicaid. He barely knows the difference between Melania and Ivanka." 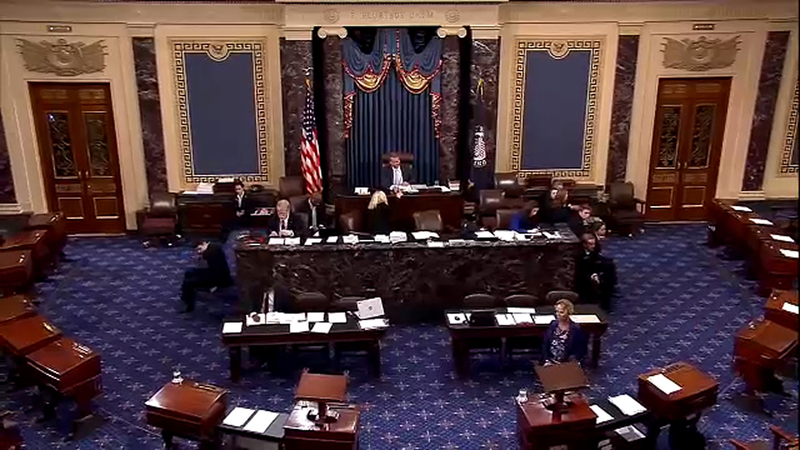 The vote comes down to four Republican Senators: Rand Paul of Kentucky, Maine's Susan Collins, Alaska's Lisa Murkowski and John McCain of Arizona. Friday morning, the president was back on Twitter, calling out key senators. "Rand Paul, or whoever votes against health care bill will forever... be known as 'the Republican who saved ObamaCare.'" Sen. Paul responded, "No one is more opposed to Obamacare than I am. The current bill isn't repeal and i won't vote for an Obamacare Lite bill that keeps 90 percent of the taxes and spending just so some people can claim credit for something that didn't happen." Friday morning in Newark at a small rally, Senator Bob Menendez (D-New Jersey) said the bill "is still a mean-spirited, right-wing assault on the health and financial security of American families." Also, numerous medical groups, from the American Heart Association to the American Cancer Society, are opposed, saying this bill could cut up to $160 billion in federal money for health care. One young mother watching the bill closely is Elena Hung, the co-founder of Little Lobbyists. Her young daughter has severe medical problems and she fears the bill could limit benefits for catastrophic illnesses. Her daughter was in the neonatal intensive care unit for five months. "It was roughly $3 million when we got the total bill." But in a sign the bill may be in trouble, Rep. Tom Reed (R) of Rochester, New York, said "I'm personally of the opinion they're not going to be able to get something out of the Senate. But we'll wait and see what they can deliver, if anything."